Do not take internally for more than four weeks at a time without a break. The white oak likely originated in England, but now grows throughout most of North America, reaching heights of 150 feet and living up to 1000 years. It is a slow-growing deciduous tree, having deeply lobed leaves, long catkins, and green to brown fruit called acorns. It is found all over the Americas, Europe, Asia Minor, the Caucasus, and elsewhere. Oak is a widely available species. varying from small scraggly bushes to a great tree. Because of the considerable variation in leaf shape, the only reliable method of identification is the fruit called acorns. They, or their caps, will almost always be present on the tree or scattered at its base. In Mexico, two Spanish names are used to describe the oak tree: encino and roble. "Los encinos" are generally smaller trees with smaller leaves and acorns. Galls, sometimes called gallnuts, are a localized, generally round, ball-like growths on plants caused by irritation at the site of its occurrence. They are usually produced by gall wasps (Andricus gallae-tinktoriae) laying their eggs in the leaf buds. The development of the larva probably stimulates the bud, in a similar fashion as would a fungal infection, producing the gall as a reaction. The oak has a long history of being a sacred tree, especially to the Druids. The bark was not only used medicinally but also to tan leather and to add flavouring to smoked fish. Oak lumber was formerly used to build naval fleets of European nations. Whole forests were cleared to meet the demands of shipbuilders. Oak bark has been used since the time of the Aztec empire as an effective remedy for diarrhea. Acorns were a staple food for Native Americans, and also sustained many wild animals during the winter. 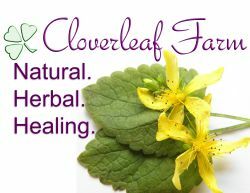 The Delaware, and others, used decoctions from the bark to treat sore throats, coughs, and other respiratory problems. tannins (15-20% including quercitannic acid, phlobatammin, ellagitannins, and gallic acid). Oak galls contain about 50% tannins. A decoction is used internally for hemorrhagic stools, non-menstrual uterine bleeding, and inflammations of the gastrointestinal tract. Compresses soaked in decoctions are applied to hemorrhoidal bleeding, varicose veins, rashes, chronic itching, eczema, and eye inflammations. Gargles from the decoction are used to treat sore throats and tonsillitis. Lotions and ointments are used to treat hemorrhoids and fissures, small burns, and other skin problems. Powdered bark may be taken as a snuff to treat nasal polyps or sprinkled on eczema to dry out the affected area. Douches are used for vaginal discharges. The galls are used in place of the bark, but in smaller quantities. It is used to treat diarrhea, dysentary, and rectal bleeding. The tea or infusion can be drunk to correct diarrhea or dysentary, but can also be used as an enema. At one time, oak enemas were the primary approach to the treatment of extreme cases of dysentary as it causes a very rapid correction of the problem. It is effective in the treatment of inflammatory skin problems, including frostbite and chilblains. Oak bark can be added to bathwater to treat large areas of damaged skin rather than applying it directly to affected areas. It is also effective for such mouth inflammations as gingivitis. Ayurvedic medicine uses oak for a wide variety of conditions, ranging from hemorrhaging to bronchitis, fever, and gonorrhea, as well as diabetes and tonsillitis. Chinese medicine uses it for dysentery and hemorrhoids. One teaspoon of the powdered bark in a cup of water is boiled gently for fifteen minutes and applied to an affected area. For bleeding wounds, the powdered leaf, twigs, bark, or galls are equally effective when applied directly to the wound. Often, using the powdered herb along with such powerful antibiotic herbs as usnea or echinacea gives an added boost to the healing process. Oak galls are particularly potent medicine as they may contain up to two or three times the tannin of the bark, but can be used for the same things, although in smaller quantities.